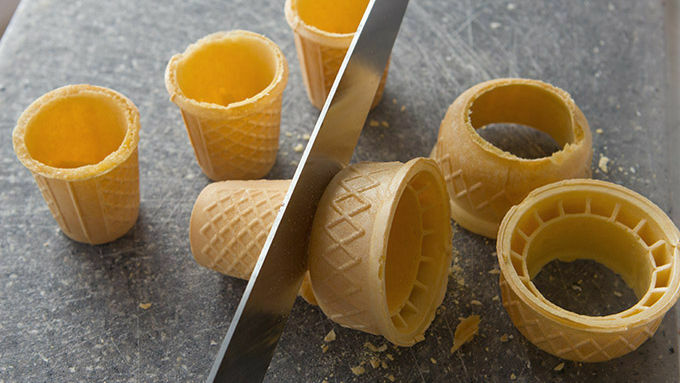 With a very sharp, non-serrated knife, slice the top off of each ice cream cone. Discard the tops, set the bottom cup portions aside. In a medium glass bowl, melt candy melts in the microwave in 20-30 second bursts and stir until smooth. 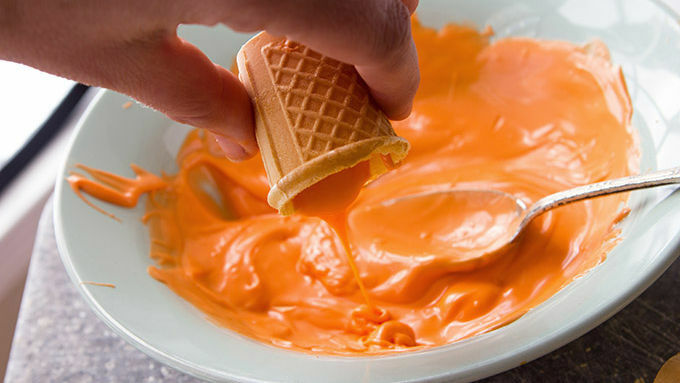 Drizzle a spoonful of candy melt into the center of the cone. 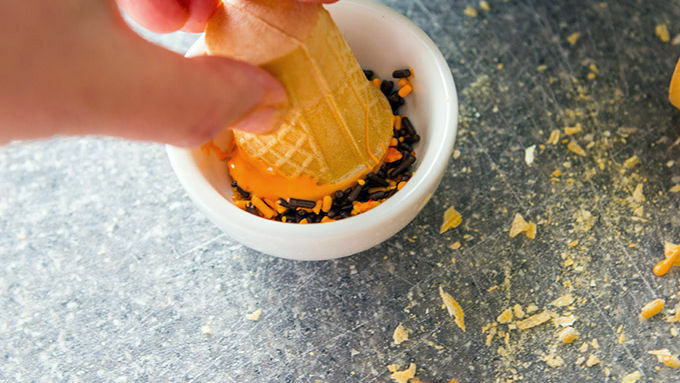 Swirl it around, ensuring the inside of the entire cone is fully coated with candy melt. 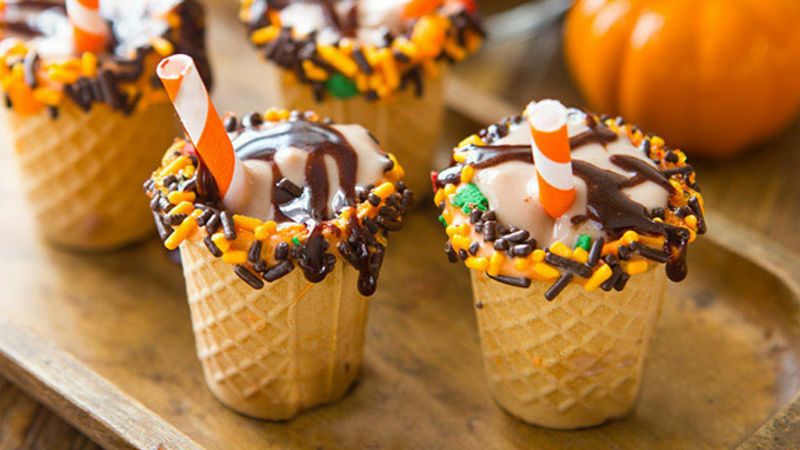 Tip cone upside-down to allow excess candy melt to drizzle out. 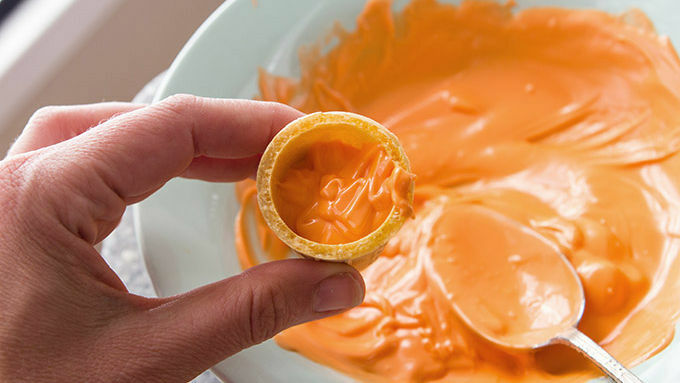 Dip the rim of the cone into the candy melt. Just before serving, whisk together espresso, melted ice cream, and liqueur. Pour into waffle cups. Drizzle with melted chocolate frosting, if desired. A unique and smooth fall drink made with coffee-flavored ice cream and liqueur. 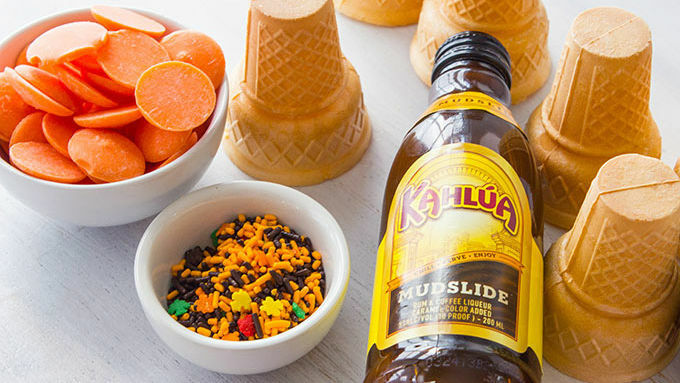 End Thanksgiving dinner with a fun and delicious shot served in an ice cream cone! A little bit of coffee-flavored iced cream. A little bit of booze. And no, we’re not talking Vodka Red Bull. We’re celebrating our latest creation – a boozy expresso shot served in a waffle ice cream cone. Hello. This may be the cutest way ever to get a little bit buzzed!